Markus W. Brombacher, President of INREX, L.L.C., is a technical and management consultant specializing in International Regulatory Affairs, Sustainable Development Practices, Project Finance, Emerging Environmental Technologies, and Data Compensation Counselling. Markus’s consulting practice focuses on international regulatory affairs for the LifeSciences and environmental technology industry sectors. Over the past 20 years (13+ of which at the helm of his own consulting firm), Markus has gained broad expertise in the analysis of product markets, alternative technology concepts and their economic viability. He has been the lead consultant on various environmental development projects around the globe, ranging from small-scale technology applications to large infrastructure ventures. Markus has established an extensive network of available international contacts and collaborators (at foreign agencies, in the private sector and academia). He frequently interacts with government officials, as well as technical, legal and financial experts in various foreign jurisdictions, and has in-depth knowledge and familiarity with international rule-making procedures. His work in monitoring and analyzing various environmental laws and regulations in the United States, the European Union and Asia has made him an expert in this field. In addition to his international regulatory experience, Markus has specialized in the preparation of data compensation claims for the international pesticide registrants/manufacturers. He is one of the most experienced and knowledgeable persons in the United States in assessing data compensation strategies and related trial preparation. 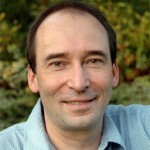 In particular, Markus is an expert on costing methodologies and cost documentation. In the course of this work, he has developed a thorough expertise in assessing regulatory requirements, and is widely regarded as an expert in the area of study compensability. He has vast experience preparing multi-million dollar claims for trial. Markus is very knowledgeable concerning European data requirements and has assessed various companies‘ data requirements and compensation obligation/rights. Moreover, Markus is very familiar with current pesticide markets, market participants and marketing strategies. Markus has twenty plus years of litigation support experience related to the environmental sector, including in-depth trial experience. Markus has audited customer complaint records, export documents, etc. in the process of investigating potential violations of environmental laws and regulations. He has extensive experience with general environmental regulations in the process of due diligence investigations. Moreover, Markus has assisted in Superfund investigations and litigation and has been involved in litigation and settlement of large toxic tort class action proceedings. Markus holds a M.A. degree (1988) in International Studies/Political Science from the Virginia Polytechnic Institute and State University in Blacksburg, VA and a B.A. degree (1986) in Business Administration from the Universität Konstanz in Konstanz, Germany. He is a US and German citizen and is bi-lingual in English and German. Markus is active in several professional associations and organizations, and frequently writes for international environmental publications.